Skyward, 13th June – 29th July 2017. 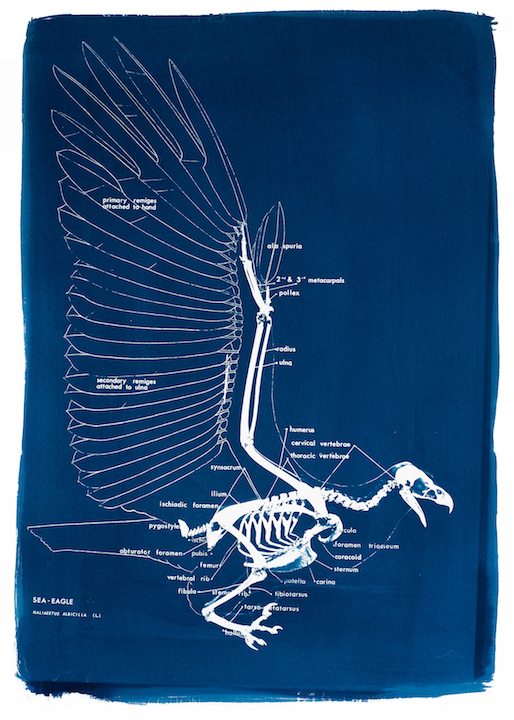 Kit Martin blurs the line between art and science in this exhibition of cyanotypes based on the collections of the Bell Pettigrew Museum at the University of St Andrews. Professor James Bell Pettigrew (1832-1908), after whom the Museum is named, held a lifelong fascination with flight, and his writings on animal locomotion were studied by the Wright brothers. The specimens of winged creatures in the Museum’s collections that Kit has photographed are representations of Bell Pettigrew’s own inspiration: at the age of 70 Bell Pettigrew built and flew an ornithopter of his own design in St Andrews, though it crashed and he broke his leg. 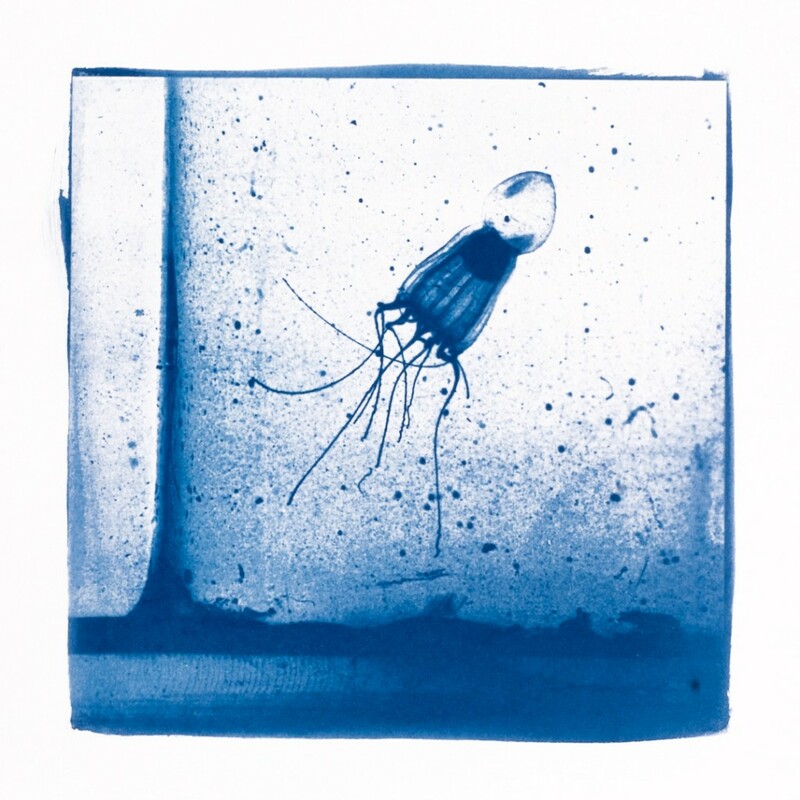 In her work at the Museum over the past three years Kit has also produced cyanotypes from glass slides of marine creatures originally taken by Professor Michael Laverack (1931-1993) during his three decades at St Andrews, primarily in the Gatty Marine Laboratory. There was relatively little identifying information with the glass plates, which are now repurposed through the cyanotype process into purely visual images of underwater locomotion. Cyanotypes were invented by Sir John Herschel in 1842. 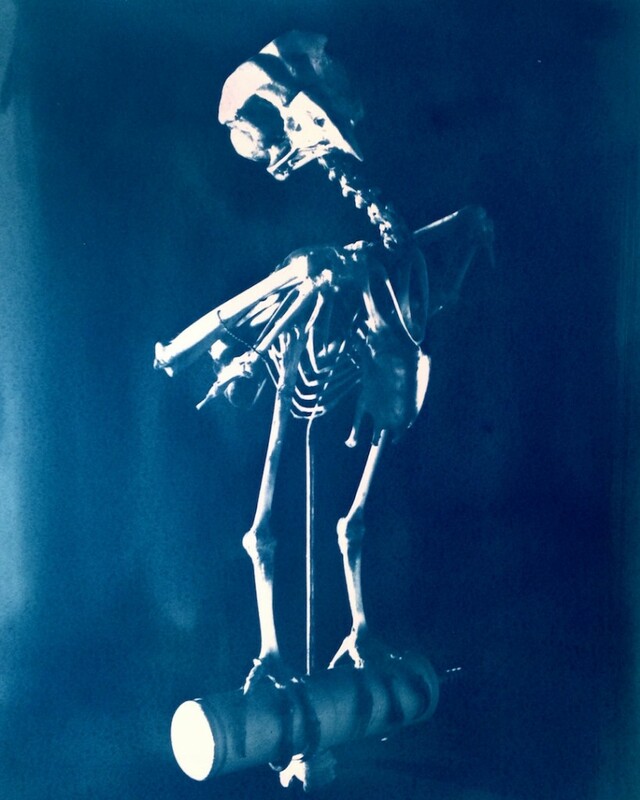 Cyanotype prints are made using a paper coated with a light-sensitive emulsion composed of two iron salts. Exposing the paper to ultraviolet light alters the chemistry of the exposed area. 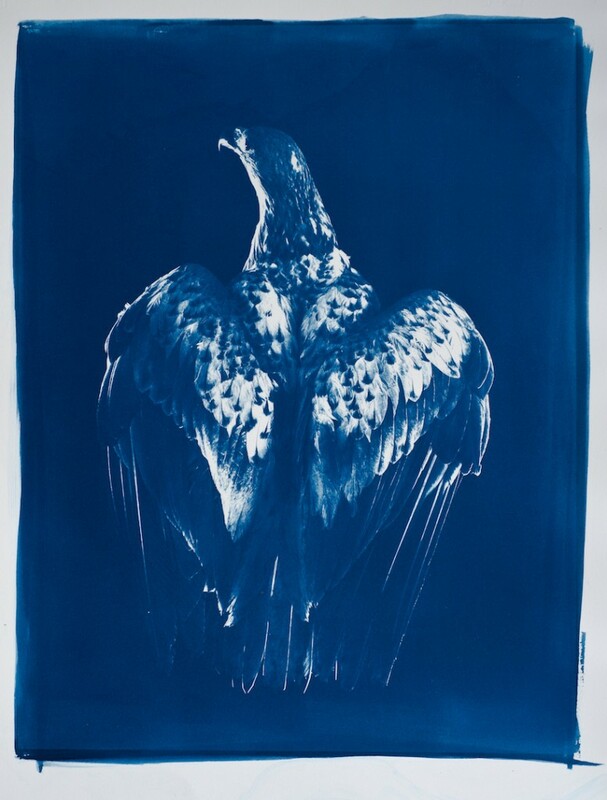 Afterward the image is washed, and as it dries the striking Prussian blue colour of the final print develops. Kit Martin is based in north-east Fife. Her background is in medical and forensic photography, though she is currently working with alternative photographic processes, printmaking and digital photography. She is a member of Dundee Print Studio and printmaking collective PrintRoom Dundee, where she runs workshops in cyanotype and pinhole photography.